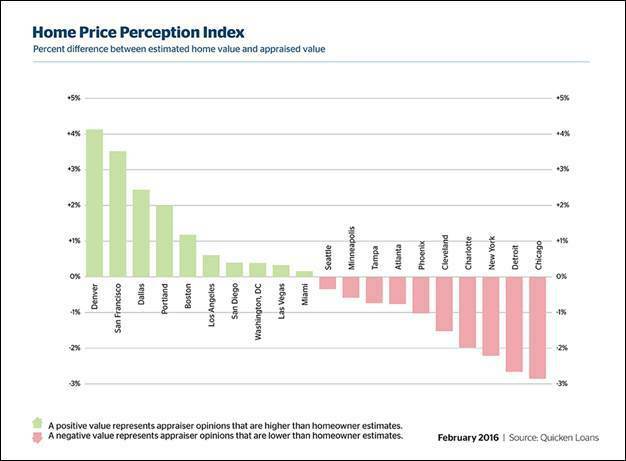 Appraised values were, on average, 1.75 percent lower than homeowner expectations. The gap between appraisal and homeowner estimates narrowed for the fifth month in a row. Home values fell 0.42 percent month-over-month in January, but were up 3.37 percent year-over-year. 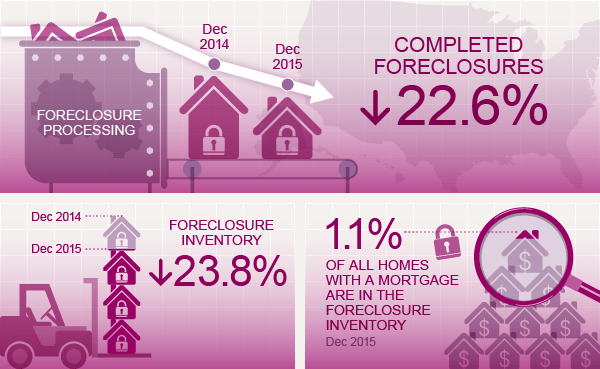 Foreclosure inventory was down 23.8 percent year-over-year. 1.1 percent of all homes with a mortgage were part of the foreclosure inventory.